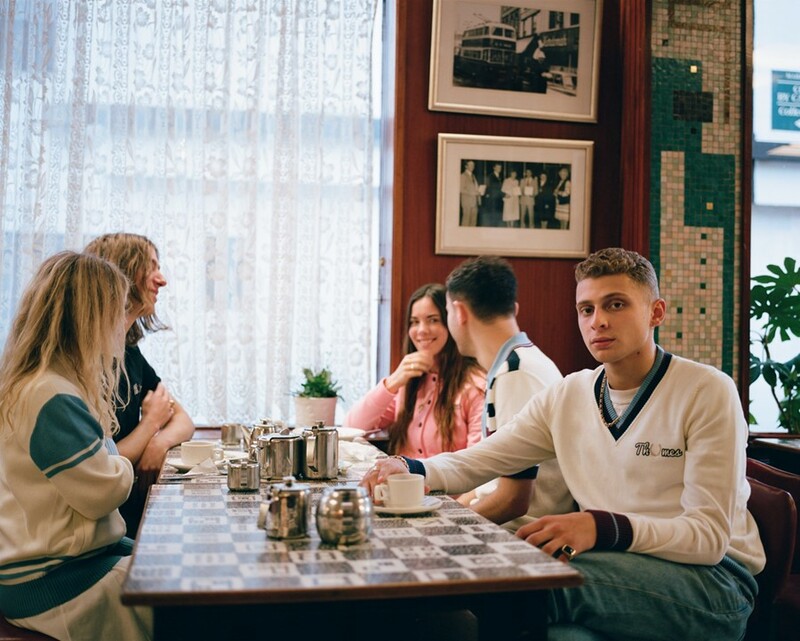 The Fred Perry polo shirt has long been adopted by British subcultures as a style staple, and garms from Thames London – the skate brand founded by Blondey McCoy – are hot property among young streetwear fans today. So when the two announced they were going to collaborate for AW17, it made total sense. Now, they’re back for SS18, with a 13 piece “street meets sport” line which features a new composite logo, made up of the Fred Perry laurel wreath and the ‘Thames’ graphic text. As well as a selection of menswear pieces, the collection marks McCoy’s first foray into womenswear and includes tennis skirts, crew-neck t-shirts and tennis jumpers. McCoy is quick to assure us it isn’t the preserve of the prim and proper, though. “I want to see people skating and getting dirty in clothes that have such upper-class implications...it’s taking that clobber off the court and into the carpark that interests me,” he explained. The inspiration for the campaign came from "Sometimes The Sky’s Too Bright", a poem by Dylan Thomas. “He's my second biggest Swansean hero – after my girlfriend,” he tells us. “The whole theme was built around the poem, it’s a specific and respectful nod to the town he called home.” The lookbook sees McCoy and his real-life friends – clad in pieces from the collaboration – hanging out in the Kardomoh Cafe in Swansea, which the poet himself used to frequent. Elsewhere, they also hit up a games arcade and head to the sea with Mr Whippy ice creams in hand, as part of a nod to how ‘quintessentially British’ both brands are. The Thames x Fred Perry collection will launch on March 16 at selected retailers.